I’ve been getting this a lot lately. Which makes me smile, because in some cultures it would be the rudest thing one could say. Yet America deems it the highest compliment. Eye roll. It makes me smile, because it’s usually men. And they’re usually trying to be nice! But it’s a reminder that women’s bodies are always on display, always being evaluated, always open to be commented on. It’s a reminder that our society sees no problem with this. It makes me smile, because although I have been at the gym more and eating healthier recently, I’ve invested so much more in personal growth. As much as my outer appearance may have altered, I feel like my inner person is completely different. I’ve valued self care at an all time high, and I can see the results. It makes me laugh, because the inward improvements don’t show to the naked eye. Can you imagine if they did?? We’d care far more about our personalities than our hair. We’d spend far more hours in therapy, and less at the gym. We’d be far nicer to other people – and probably nicer to ourselves. People have been asking me what I’m doing, what I’m eating. Since the internet seems to love fad diets, I thought I’d add my own to the mix. Buuuuut it might be a little different than your typical fitness blogger’s. I will never, ever, ever post a “before and after” picture of me on the internet. Partly because social media does not need more players in the comparison game. Partly because one person’s “before” picture might be another’s dream “after” picture. Partly because “healthy” looks so different depending on body type. Partly because… oh, SO MANY REASONS. I will never post my weight and/or pant size and/or amount of pounds I’ve lost on the internet. Those things don’t reflect health; more importantly, those things don’t reflect value. We should not be defined by numbers. 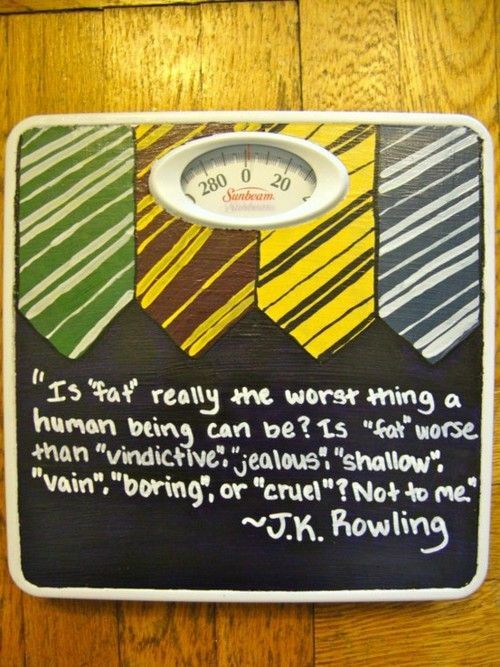 As the wonderful J.K. Rowling once shared, “I mean, is ‘fat’ really the worst thing a human being can be? Is ‘fat’ worse than ‘vindictive’, ‘jealous’, ‘shallow’, ‘vain’, ‘boring’ or ‘cruel’? Not to me … I’ve got two daughters who will have to make their way in this skinny-obsessed world, and it worries me, because I don’t want them to be empty-headed, self-obsessed, emaciated clones; I’d rather they were independent, interesting, idealistic, kind, opinionated, original, funny – a thousand things, before ‘thin’.” Reread that if you have to. So, so, so good. Well, duh. That’s the point of diets, right? But I’ve started shedding so much weight; I’ve started putting down things that aren’t mine to carry. Shame. Guilt. Lies. My past. My Anxiety. Your expectations. My expectations. This can be as hard as losing actual pounds – it takes effort, day after day. It takes commitment. It takes making healthy choices and being prepared when temptation strikes to fall back into old patterns. It takes having a goal in mind and working towards said goal with everything in you. And, just like your pants fitting a bit better, you find that your skin fits a bit better – because you’re more comfortable in it. Breathing is easier. Sleeping is easier. Living is easier. Shed the weight. It’s not yours to carry. Also an obvious diet-how-to. Eat less sugar, eat more protein. Cut out [insert current fad here]. Add [insert current obsession] to every meal. Don’t eat ice cream for dinner (…I still fail at this). But I started consciously consuming less junk. I un-followed people who only post negativity, who post things that make me think un-nice thoughts, who post an ungodly amount of selfies (seriously, Facebook’s unfollow feature – you the real MVP). I started sitting in silence while driving, not because music is bad but sometimes its just noise. And sometimes you don’t need more noise in your day. I stopped watching so much Netflix (nothing against Netflix, because I LOVE YOU. But less binge watching is good for the soul). I stopped mindlessly scrolling through various newsfeeds to entertain me, and picked up a book instead. 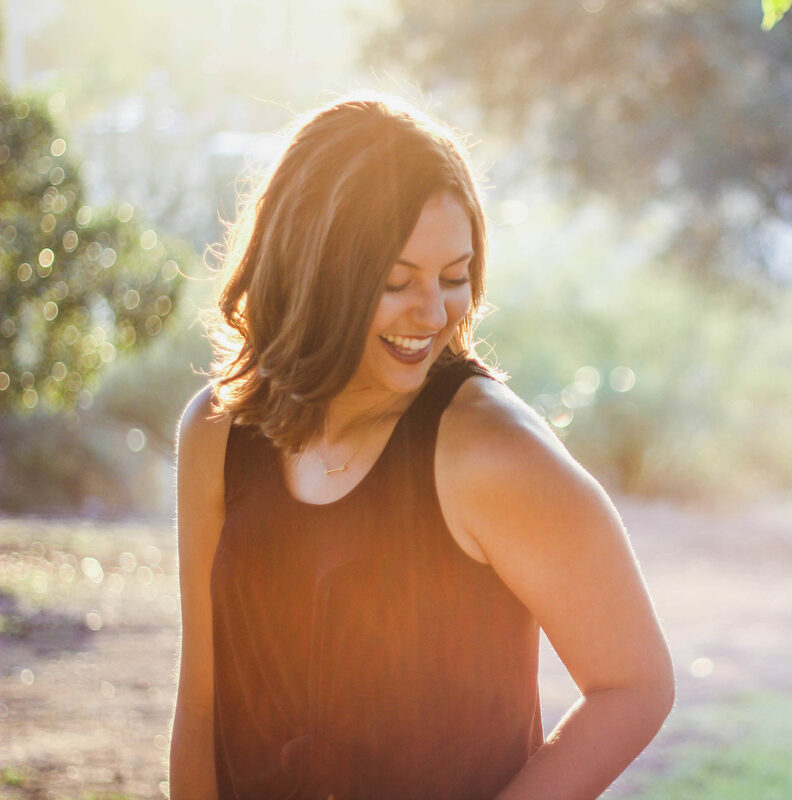 I stopped conversations about junk – I don’t want to discuss Taylor Swift’s breakup with friends or gossip about that new guy in our friends group or discuss ideal hair lengths. 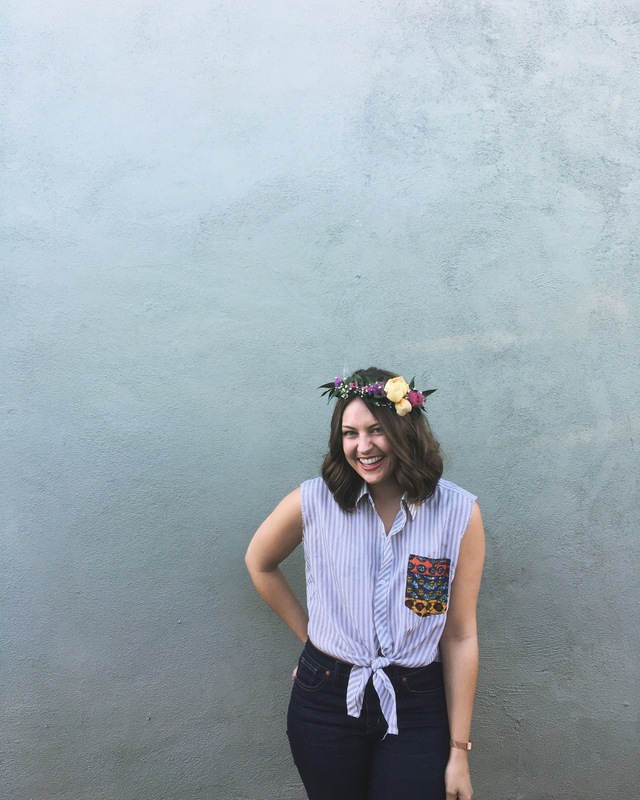 I want to talk about you and how you’re doing and what you think life is all about (…sometimes how you are doing involves debating the ideal hair length, and that’s okay). Yet I’ve learned when your core is strong, your body is strong. When you’re strengthening your core, you’re strengthening your whole body. And you might need to focus on strengthening your core for a while, before moving on to other things. So I worked on strengthening my core in life – I invested in my key relationships, I started being intentional with those who mean the most to me. I started building up a community of people I care about, who care about me. I made time with them a priority, when it would have been easy to schedule other things, because I know how good for my soul they are. I carved out alone time – aka life support for this introvert – amidst the crazy, because I know how needed it is. I asked people for help where I need it, I started seeking healing in places I need it. I started taking care of the core of my person as well as the core of my community, in order to take care of my entire life. Sometime you have to start with the core, before you can start working on other parts. So, is this a bikini-body-ready regime? I’d like to think so. As the popular saying goes, all you need for a bikini body is a bikini and your body. Put your bikini on your body and – ta da! – You’ve achieved it. Although I have lost some actual weight and my body might physically look better in a bathing suit, by society’s standards, than it did a year ago, my body feels better in a bikini now. Because I’m not carrying around shame that isn’t mine, I’m not worried about comparing myself to unreal standards of people via Instagram, and I have a better understanding of who I am. And when I forget, when I fall into old patterns, I have friends who continually remind me who I am and Whose I am. I may be eating healthier (sometimes), but I am living healthier – for I am listening to truth over lies, focusing on hope over defeat, running towards healing and away from scars. The “new me” might wear a smaller pant size (which, let’s be honest, MEANS NOTHING), but the new me wears a new perspective on life. That matters to me infinitely more. In blog Tagged bikini body, body positivity, change, diet, fad diet, fit life, lose weight, thin Bookmark the permalink. 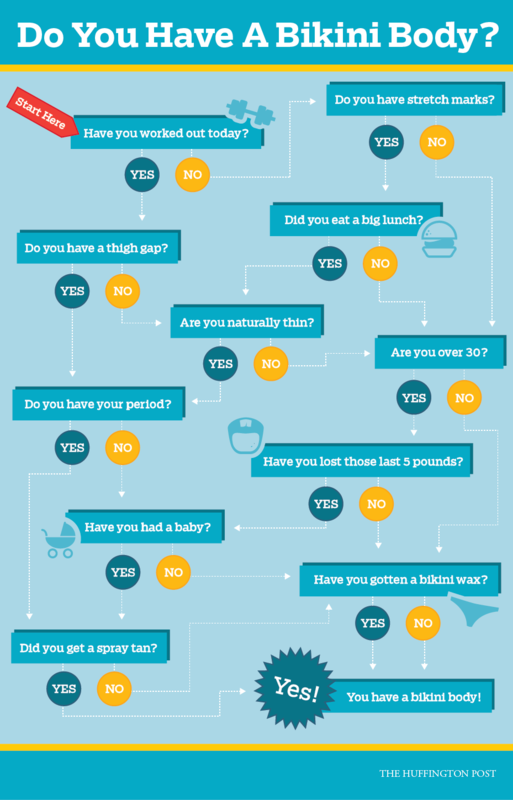 Do I have a bikini body?